Just wanted to send a "thank you" for your delivery and set-up of the Olhausen table I purchased off your website. I couldn't be more thrilled with the table, new felt, cue rack and cues. More importantly, your knowledge and expertise in obtaining quality, previously owned tables made my first experience in buying a table from a website to be an nothing short of an awesome experience. We now have a beautiful addition to our game room that our family will enjoy for years. Our friends can't believe the table was previously owned! Please don't hesitate to use me as a referral going forward. It was truly a pleasure working with you. I could not thank you enough for your exceptional service and delivery of our Olhausen table. If you would have told me that I was going to buy a pool table "sight unseen" months ago, I would have told that you were sadly mistaken and frankly, crazy. All of that aside, your expertise, years of experience and insight made this a much easier purchase than my local dealer. Your insight far exceeded anything that I was told by any "dealer". 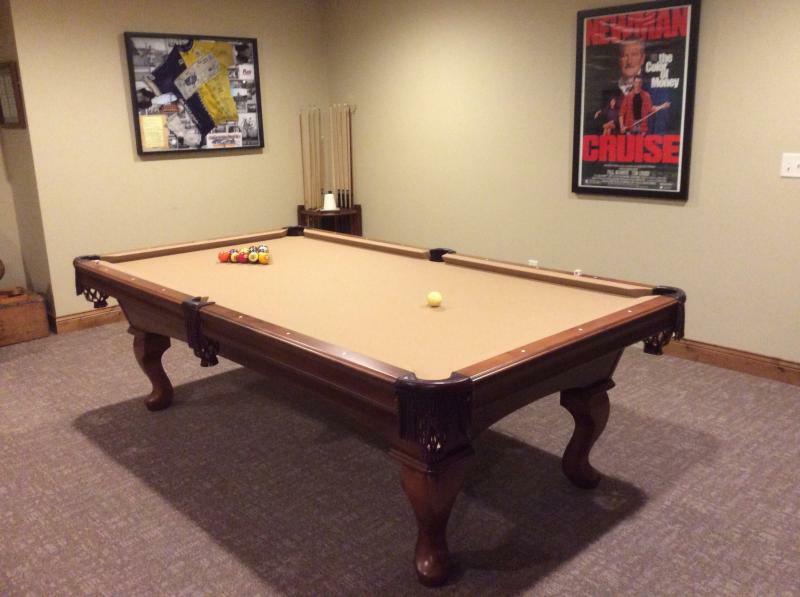 Thanks for making this a great addition to our family game room! Stop by anytime! ﻿Very professional, personable and thorough service. Jon found the exact table I was looking for and provided excellent installation service. I'm loving the table, I've had friends over & are jealous of its quality & beauty. I can finally run out a couple racks due to the great slate and tournament cloth! Thanks again, i've told alot of my friends that if they need a table...go to Mr. Slates!!!! 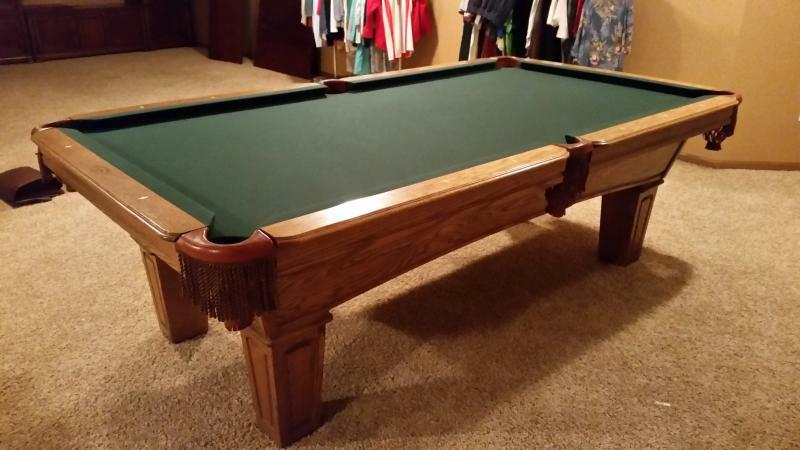 I wanted to drop you an email to tell you how much we are enjoying our pool table we purchased from you. We are glad we purchased the 9’ Olhausen. We received the table cover and light fixture within days after you said you ordered them. I will not hesitate to recommend you to our friends and family. I am very pleased with the table and your service is simply outstanding! My family and I love the table. It is playing great. 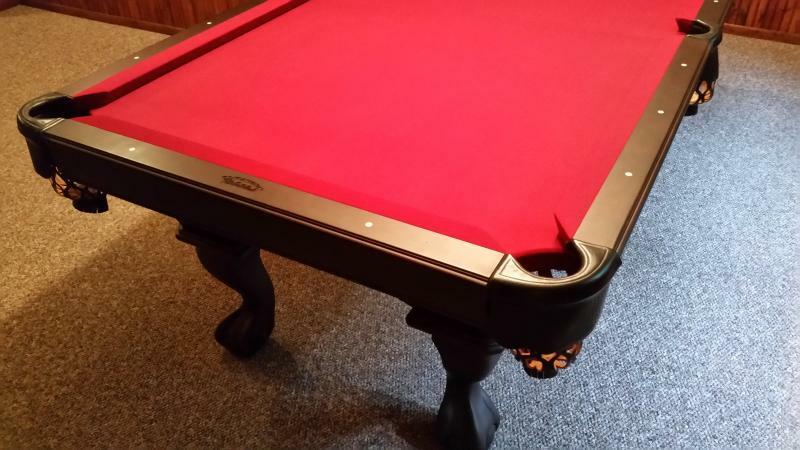 I’m really happy on how you took care of us and I’ll certainly recommend you to anyone looking for a high quality used pool table. 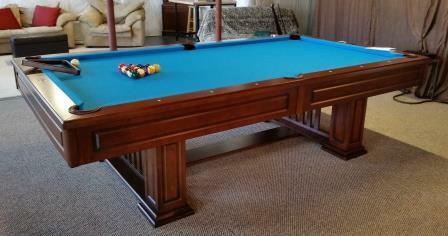 I am very happy with the quality of the pool table, professional set up, and overall value. The table looks great and plays perfectly. Great deal on a great table. 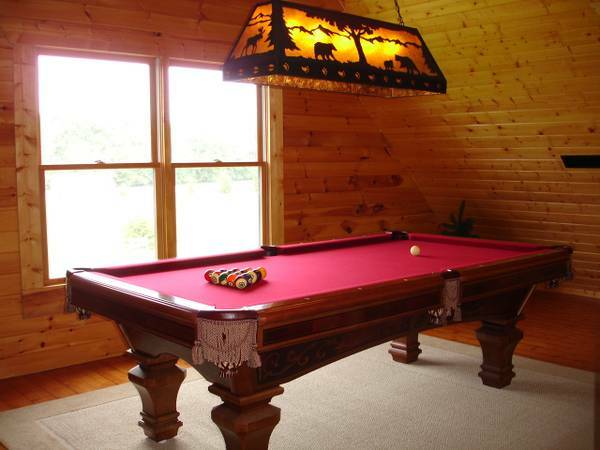 High quality pool tables and no hidden set-up or deliver charges. Good luck on the walleyes! My husband was so surprised and happy! He loves the table. Thank you to you both! I just want you to know, I just love my pool table, and you two are the nicest people in the world....That was a fun day for me.....Thank you so much. I just wanted to write and say thank you for the used pool table, I absolutely love it, it’s everything I ever wanted. It plays and looks great. I really appreciate your attention to detail and the quality of work you did installing the table. I was woken at 6:30 this morning by hearing the balls on the table, I went down stairs and my son was practicing his pool skills, he loves the game as much as I, looks like its time to pass on the stick. Anyway, thanks again and if you ever need a reference on your work let me know. 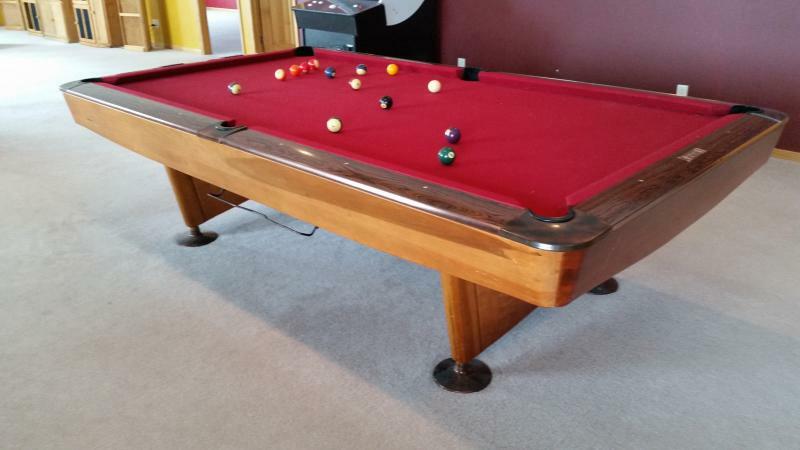 Thanks for your help in setting us up with a great used pool table! We all very much enjoyed playing it last night. We had Mike and his family over for dinner, and I don’t think I have seen him happier. He was very impressed by the table. My teenage son and I played late into the night (at least late for me), so I think this will be something we can do together, which is great. The table is great, but I am going to need to put some time in to get together some kind of game. I have a feeling Mike will be coming over more often now, so maybe he can teach me a thing or two. Anyway it was a pleasure meeting you and your wife, and I appreciate the care and professionalism in your approach to your work. If you ever need a reference for an install/sale, feel free to use us. We just wanted to thank you again for the fantastic pool table. It is beautiful and we are enjoying it a lot already. Having it delivered and installed by someone with your experience and expertise was the best part of the deal! We feel very lucky to have found you! Thanks again, and take care. Jon is the real deal, incredibly professional and knowledgeable about his craft. He will not rest until the job is done perfectly and to the customers liking. I couldn't be happier with my new table and the incredible experience I had working with Mr. Slate!! !